Our team of experienced care professionals can help you in managing Sarcoidosis. Contact our Office or Request An Appointment Online To Get the Help You Need In Managing This Condition. Sarcoidosis is an inflammatory disease that can affect multiple areas of the body, including the lungs, eyes, skin and, in some cases, the heart. The lungs are affected in more than 90 percent of sarcoidosis patients. Pulmonary sarcoidosis can decrease the amount of air in the lungs and can cause abnormal lung stiffness. 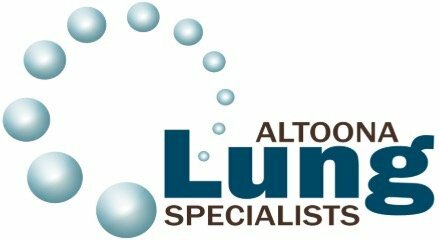 At Altoona Lung Specialists, we provide of a wide range of services to our patients in the Lung Disease Center, which offers state-of-the-art care - i.e. testing, diagnosis, and treatment - in one location within their own community, allowing them to remain local. To learn more about sarcoidosis, call 814-946-2845 or book an appointment online! According to the American Lung Association, the exact cause of sarcoidosis is unknown. Some research suggests that an infection or exposure to environmental elements can trigger the immune system and cause an overreaction, leading to the inflammatory symptoms. And while no specific gene mutation has been shown to cause sarcoidosis, it sometimes runs in families, and there may be a genetic tendency to develop sarcoidosis. No matter the exact cause, it is known that sarcoidosis isn't contagious. Who’s at Risk of Developing Sarcoidosis? People of African-American, Swedish, and Danish descent have the highest rates of sarcoidosis in the world, according to the American Lung Association. The disease most commonly strikes young adults between the ages of 20 and 40. A new study has suggested that smokers and males are also at a higher risk of developing the disease. A series of tests are required to diagnose sarcoidosis accurately, inducing a complete medical history and comprehensive physical examination. Bronchoscopy, mediastinoscopy and skin biopsy, eye exam, CT scan, and chest radiography are all instrumental tools in helping to diagnose this condition. The most common presentation of this disease is found through an X-ray or CT scan of the chest which shows enlargement of the lymph nodes at the root of the lungs and in the area just beneath the breastbone. The acute form of the condition, also known as Lofgren Syndrome, is visible on chest radiographs. What are the Treatment Options for Sarcoidosis? In at least half of cases, sarcoidosis appears briefly and heals naturally. Oftentimes, the patient doesn't even know that he or she has contracted the disease. In cases where natural recovery does not occur, treatment can be achieved with pharmacological intervention. The chronic stage of the disease, in particular, requires long-term intervention with different types of medications, corticosteroids (glucocorticoids) being the most widely used.